Samsung isn’t alone in its decision to share its 2018 laptop lineup ahead of CES. LG is doing the same with the unveiling of three refreshed Gram laptops. Billed as the most easy-to-carry laptops on the market today, the new lineup consists of a 13.3-inch system (model 13Z980, 2.1 pounds), a 14-inch variant (model 14Z980, 2.2 pounds) and a larger 15.6-inch offering (model 15Z950, 2.4 pounds). They’re equipped with Intel’s latest eighth-generation Core i7 (or Core i5) chips, SSD storage and a 72Wh battery that can last “almost” a full day on a single charge. It seems that Qualcomm stepping into the laptop game with its new ARM-based Windows 10 laptops has pushed the industry as a whole to focus more on improving battery life and that’s definitely not a bad thing. The new Grams should be quite durable as well. LG says they’ve passed seven US military MIL-STD 810G durability tests for resistance to impact, pressure and temperature. Other noteworthy features include a backlit keyboard, a front-facing webcam, a fingerprint reader, Thunderbolt 3 connectivity and support for a second SSD. 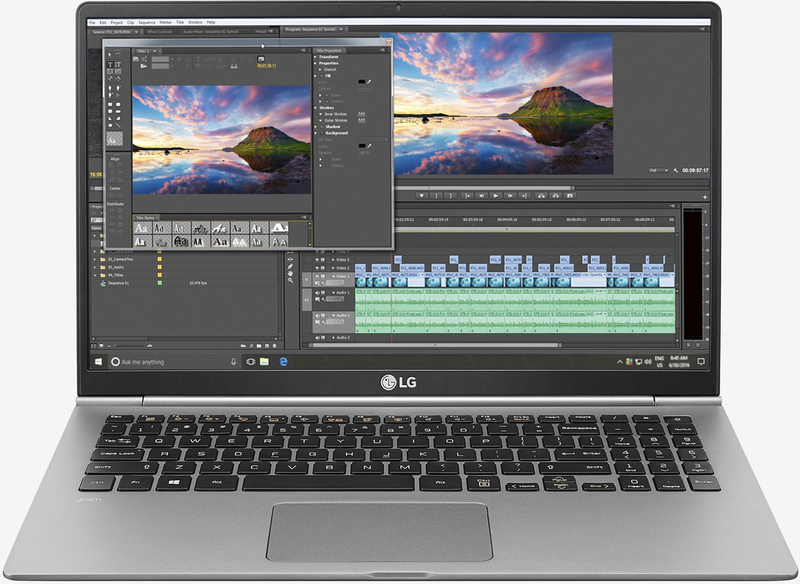 LG’s new Gram laptops will be available in the US starting next month. They’ll also be on display at CES (booth 11100 in Central Hall of the Las Vegas Convention Center) should you happen to be in attendance. Additional details including pricing are pending.